Industrial concrete floor coating for your manufacturing facility, warehouse, assembly lines and machine shop needs to be able to handle the heavy wear and tear from forklifts, harsh chemicals, oils, gouges and abrasion. 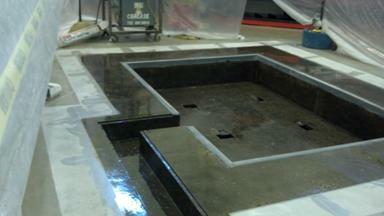 Concare's industrial floor coatings stand up to your manufacturing challenges. Concare understands that reliable scheduling is essential to minimizing your production delays. Our manufacturing and industrial floor system offers superior quality, durability and long lasting performance. Whatever the concrete flooring application, our experienced installers are skilled in a variety of industrial concrete floors including specialty rooms with high dust and extreme temperatures. 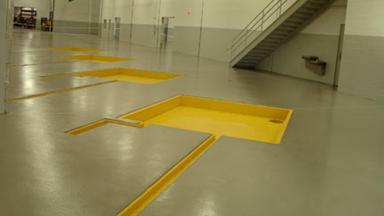 Contact Concare for anindustrial concrete floor coating for your manufacturing facility.